Discussion in 'Troubleshooting' started by Carlos144Green, Apr 12, 2019 at 8:47 PM. OK, so you still have heat creep or the heat break is still clogged? Remember can't see your printer or know what you have done unless you share the details. For heat creep (and that does seem to match at least your first set of symptoms) you must increase the cooling for the hotend. If the fans are running then one or more of them is probably not running 100%. 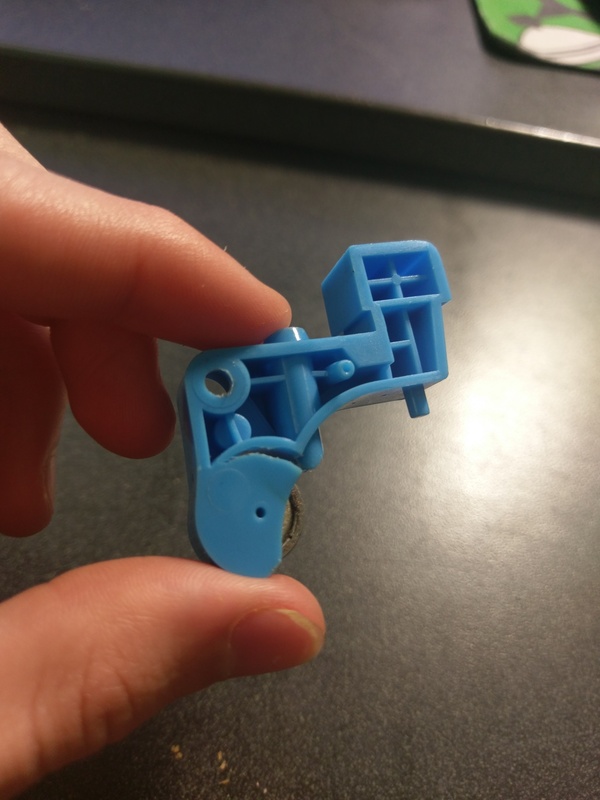 All you have to work with for hotend cooling is the airflow so either a fan is falling down or something is blocking the air. 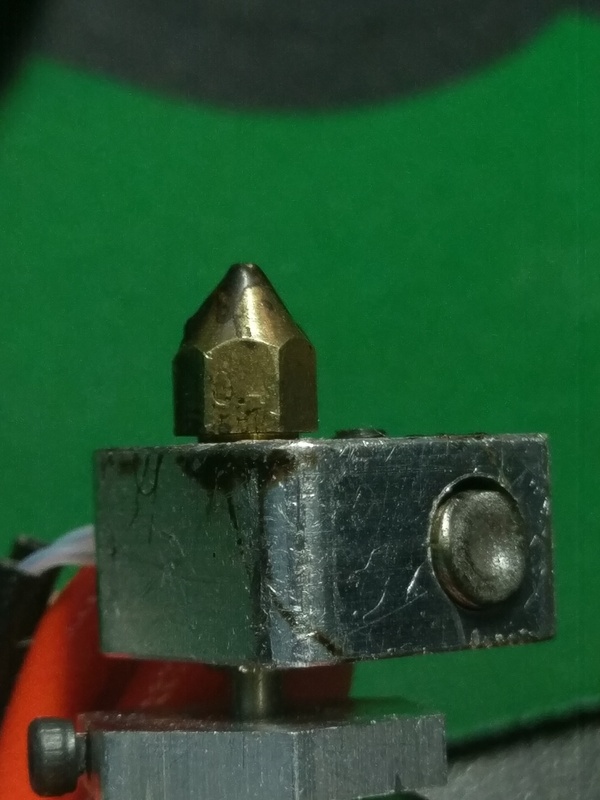 In any case, if you managed to get the nozzle out of the hot end, you may want to re-install it per that procedure even though you are not actually swapping the nozzle. The type of filament is ordinary Hatchbox pla. I have always printed at the default 190-210 temps. The extruder gear works fine, I cleaned it just in case. I know it works fine because it has a good tug to it when loading filament then it just suddenly can't push any more in once it reaches about 1.5 inches in. I checked for basic tangling and the tube also isn't the problem since it can't print even without it. I don't know if removing the cover plate did anything but I tested it again and its printing but extremely poorly. Both fans work well. Seasoning may fix this but I rather not since this is a new hot end. A slight misunderstanding. When I said the remove the tube, I was referring to testing the diameter of the filament by using the tube as a quick check by hand. 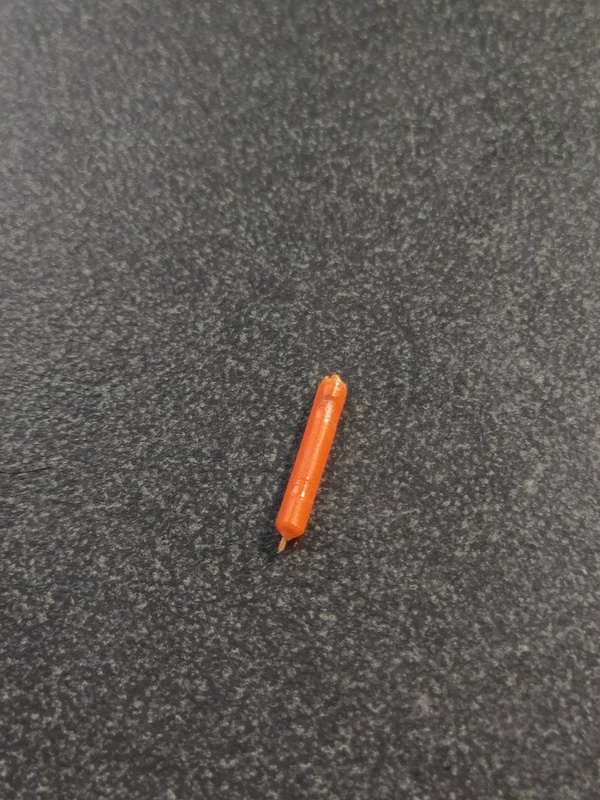 Of course, you would place the tube back in the printer once you finished the test. I agree that the tube itself is not the problem. Carlos144Green and mark tomlinson like this. I totally missed that @tkoco ! Excellent suggestion. With a good filament brand they will be happy to swap the bad spool for you. I checked the fan capabilities and they all check out (video below). I also did another cold pull and there seems to be no more residue at all left (2 pics of the pulled filament). On top of that, I reassembled the extruder and left a significant gap and tightened it as much as I could. My printer still doesn't work. I started a print after all of that and it won't even extrude any plastic unless I apply force on the plastic. Have you tried a different nozzle? Probably not the problem, but I would still give it a shot. What is the diameter of the nozzle? The C2 printer ships with a 0.4mm nozzle. If the nozzle size is different, you will need to tell the software what that size is. 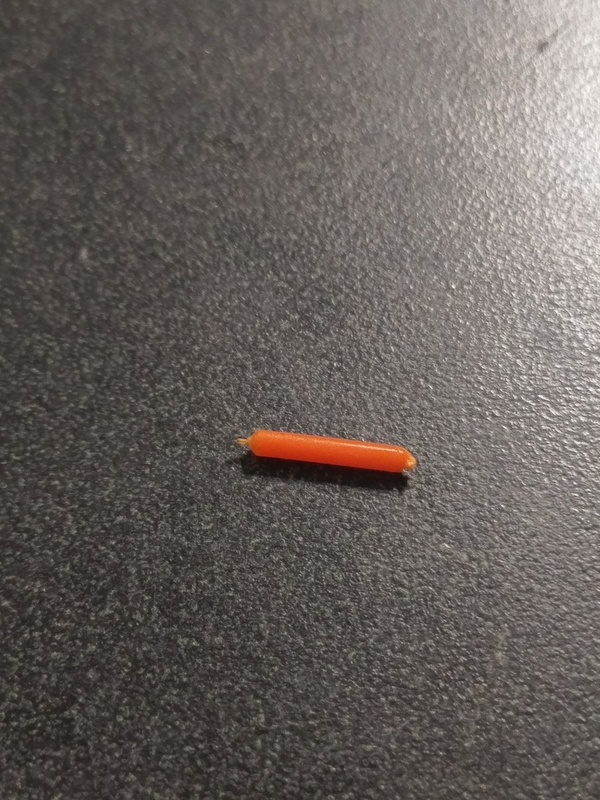 The nozzle is .4mm and I have printed with this type for a long time without problems. So I saw this crack behind my bearing and shield when I was inspecting closer at the feeding mechanism. This may be the root cause of all my problems. I'll update yall as I super glue this together later. It worked!! Thanks to everyone who walked me through this. Every piece of advice was useful in the end since it led me to check the feeding gear. (Yea, I know Robo doesn't have the models out there and available, but you could CAD one close without a lot of hassle -- just some practicing). tkoco and Carlos144Green like this. BINGO!!! If the superglue fails sometime in the future, you could try using JB Weld epoxy glue. Super stuff which has yet to fail on any place which I have used it. Sometimes it is the process of elimination - excluding things which are good condition. 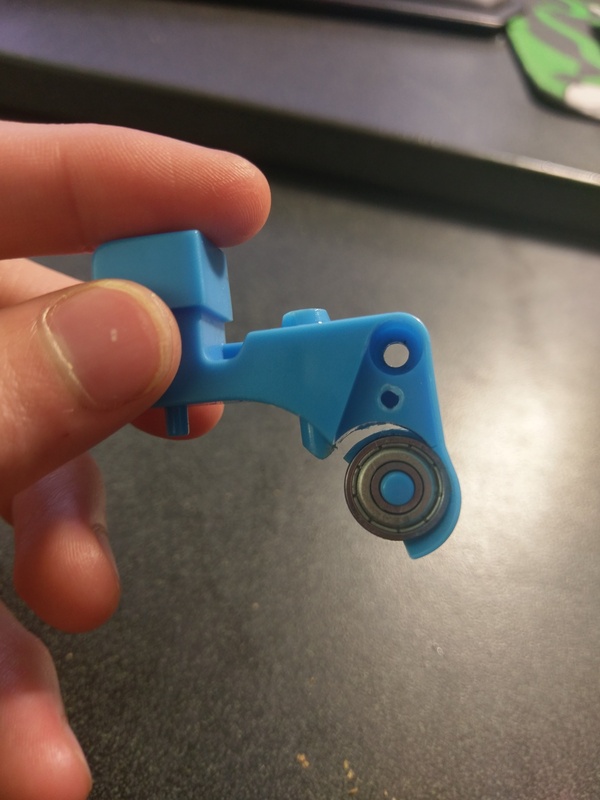 If your printer is still under warranty, contact Robo 3D support and see if they would send you a replacement. mark tomlinson and Carlos144Green like this.